A wide band of stylized trees, two types in the shape of a bodhi leaf, with two shoots emerging from either side near the tip, a third with synmmetrically arranged branches; the trunks are filled with dots. 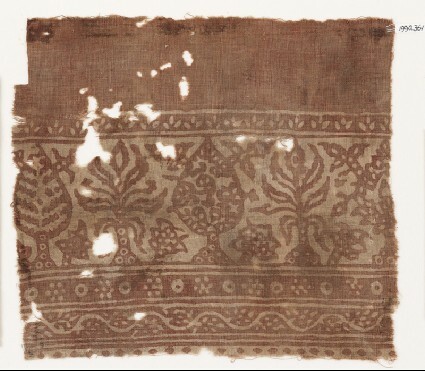 Additional narrow bands, one with small trefoils, one with six-petalled rosettes alternating with small dots, and a third with a continuous vine and dots arranged as leaves. The wide band has the pattern red against a white ground, while the narrow bands are white against red. See also Cat. no. 353 [EA1990.360]. The design is equally precise on surface and reverse. 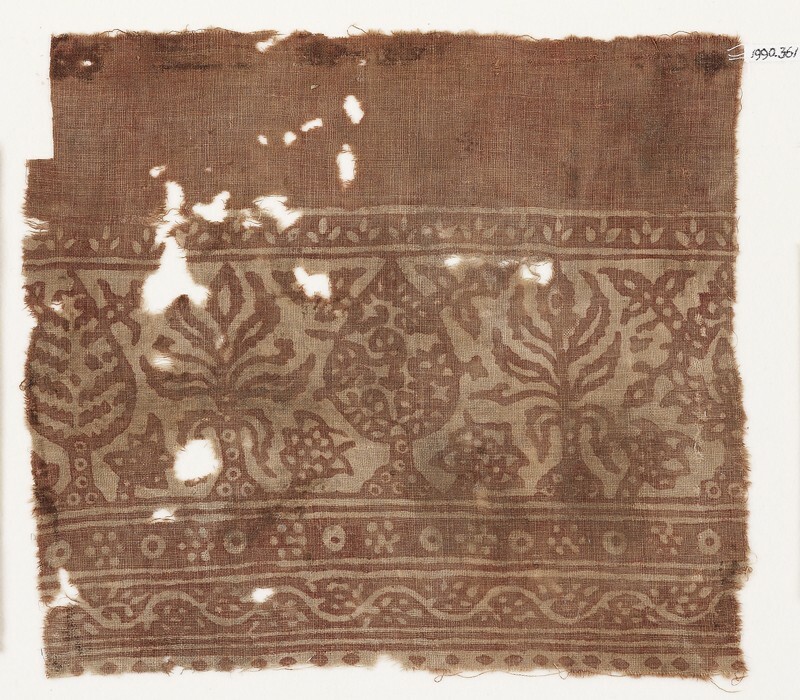 The textile was radiocarbon-dated to 1420 CE +/- 40.